For on-site computer repairs and computer services Brisbane can rely on Less Stress Computer Services. Less Stress Computer Services offer quality on-site computer repairs for individuals and businesses in the Brisbane region. When it comes to computer repairs, network support, and technical assistance, Less Stress offers everything you need to keep going. Our team of highly qualified technicians can optimise your Windows, improve the speed of your PC, recover lost data, and remove virus and spyware to create a fast, efficient and smooth running computer system tailored specifically to your needs. Just contact us at Less Stress, and we will save you time by coming to your home or office to resolve your computer issues fast. We understand that time is money – your business needs uptime for efficient operation. 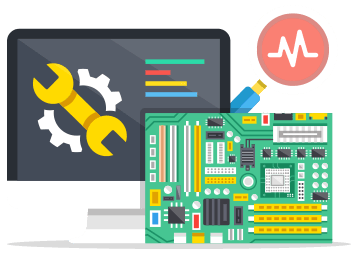 When you call us to repair your computer, we do a swift diagnosis and fix your PC system to minimise your downtime. Whether it’s server or infrastructure needs, our technicians strive to take away the stress caused by a poor computing experience. Our convenient on-site computer services and excellent customer care are also very competitively priced. We provide friendly on-site computer repairs for small to medium businesses. We leverage our technical expertise with the right tools to help ensure your success! Our technicians assist your business every step of the way by offering the right IT solutions based on your unique needs. Whether it is an individual PC repair or a business computer repair, Less Stress can tailor a solution to fit your needs. You don’t have to waste your time looking for a computer repair shop – just call us and our technician will come to your home or office. Our onsite computer repairs minimise disruption to your business and life and get you back to business quickly. Laptop repairs, desktop computer repairs, virus & spyware removal, network issues, charging port repair, cracked screen, battery & power issues, set-up wireless networks, software installation & management, computer security systems, business computer set-up, and other services are all part of our offering. 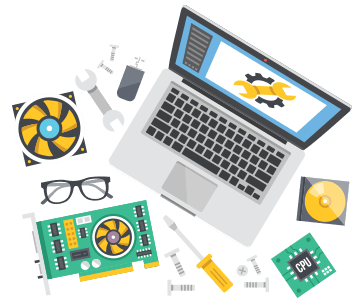 Our experts are the best at what they do and are ready to provide quality on-site computer repairs whenever you need help. Are you setting up a new office and need to build a custom computer system? We can help. The best way to achieve your business requirements is to get an upgraded or custom computer system specifically tailored to your needs. We work with you to properly plan and build a custom computer system and install high-quality software and hardware from the start. We believe in removing the stress of computer repairs to allow our clients peace of mind, so they can remain focused on the important part of running their business. The quality of our on-site computer repairs will give you confidence that everything is in hand. Our computer repair technicians are not only skilled computer repairers – they are patient with excellent communication skills. They will happily explain to you what went wrong with your computer and how to best optimise your computer moving forward. No matter the nature of your IT needs, our computer repair team strives to provide all the solutions you need. For on-site computer repairs contact Less Stress Computer Services today.